Have you been living with CRPS? Has your constant pain prevented you from living your best life? CRPS can cause debilitating pain that could dramatically alter your life. Can I sue for Reflex Sympathetic (RSD)? Yes, you can sue for Reflex Sympathetic Dystrophy, or RSD. Also known as CRPS, RSD. To learn more about your right to file a lawsuit, you must discuss your claim with California complex regional pain syndrome attorneys. If you are in need of legal assistance and would like to speak with experienced RSD/CRPS lawyers, you must contact the attorneys at Kenmore Law Group. Our lawyers have many years of experience in litigation involving Reflex Sympathetic Dystrophy (RSD) or Complex Regional Pain Syndrome (CRPS), and they are ready to handle your claim to help you recover the compensation that you deserve. Kenmore Law Group is a law firm dedicated to fighting for the rights of those afflicted with CRPS. Our attorneys understand how the syndrome could affect every aspect of your life and the lives of your friends and family. 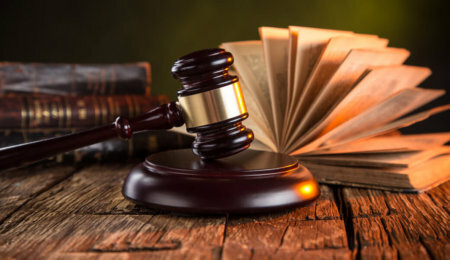 Therefore, our lawyers are dedicated to fighting for your right to sue and ensuring that you are rightfully compensated for the harm that you suffered and will continue to suffer. If you would like to discuss your situation with our attorneys in Los Angeles for CRPS lawsuits, do not hesitate to contact our firm as soon as possible. Type I: referred to as simply CRPS, it occurs after soft tissue injuries (sprains, strains, burns, fractures, etc) and minor nerve injuries. Type II: referred to as Causalgia but formerly known as Reflex Sympathetic Dystrophy (RSD) Causalgia, it occurs after a major nerve injury. Prior to 1994, CRPS was called Reflex Sympathetic Dystrophy (RSD); because the change is somewhat recent (approximately twenty-four years ago), both terms (both CRPS and RSD) are often used interchangeably. Overall, CRPS is a chronic pain that could be constant or intermittent that affects the skin, muscles, joints, and bones—it is common in any of the limbs, but it can present itself anywhere on the victim’s body. In many instances, the CRPS begins in one area of the body and spreads to others, creating even more unbearable pain. Similar afflictions include reflex neurovascular dystrophy (RND) and amplified musculoskeletal pain syndrome (AMPS). RND causes intolerable pain in the muscles and in the joints that are often characterized by a burning, cramping, or pounding sensation. AMPS is a result of an irregular pain reflex that amplifies mild pain to severe pain. Both RND and AMPS are often associated with CRPS. Can You Sue for Complex Regional Pain Syndrome (CRPS)? The answer is yes, you can sue for Complex Regional Pain Syndrome. If you have developed CRPS and you would like to sue for your CRPS, you can sue the parties that caused the injuries that lead to your CRPS diagnosis. Whether you developed CRPS after a workplace injury, medical malpractice, or any type of personal injury accident, you could file a CRPS lawsuit if you got CRPS. For more information about your right to sue for your CRPS, you must meet with our experienced lawyers that can help with CRPS. Did you suffer a slip and fall accident in your workplace? CRPS after a slip and fall could be visible through CRPS in one foot or both feet. Any work-related repetitive motion injuries, such as stocking or scanning, for example, could lead to CRPS. Regardless of the situation, you could file a claim if you were left with CRPS after a workplace injury. Can I get workers compensation for CRPS? Yes, you can get workers compensation for CRPS. Our attorneys could provide you with more information regarding workers compensation and CRPS injuries. If you were left with CRPS because of a workplace injury, do not hesitate to contact our law firm today. Our attorneys could help you to sue your employer. You could have developed CRPS in one hand or both hands or even CRPS of the fingers if you were affected by medical malpractice. For instance, a trip and fall accident could have left you with a moderate hand or finger injury that needed a minor surgical procedure to address. A mistake during the surgery could have complicated your injury and led to CRPS. If you developed chronic pain after a surgical procedure, our CRPS medical malpractice lawyers could help you file a lawsuit against doctors and hospitals for CRPS. If you would like to pursue legal action after medical malpractice resulted in your CRPS, do not hesitate to contact our firm. Did you suffer CRPS after a truck accident? Were you left dealing with CRPS after a motorcycle accident? Did you develop CRPS due to a bus accident? You could have also developed CRPS because of a car accident. If you are suffering from CRPS due to an auto accident or any type of personal injury accident listed above, you could have been left with CRPS in the one arm or both arms and CRPS in one leg or both legs, for example. Regardless of the type of personal injury accident that resulted in your CRPS, you could file a lawsuit against the party that negligently caused the injuries that resulted in your development of CRPS. A car accident CRPS injury lawyer could help you sue and recover the compensation that you deserve. $664,000—the victim was injured in a pedestrian accident which resulted in CRPS. $958,000—the victim suffered an auto accident that resulted in wrist pain, which was attributed to CRPS. $700,000—the victim suffered a slip and fall accident which resulted in many fractures. The victim’s extreme pain was determined to be CRPS. $2.79 million—the victim suffered a slip and fall accident in a grocery store; the fall led to the victim’s development of CRPS. $3.55 million—the victim suffered a workplace injury when he fell on the sales floor and a display fell on him. His injuries resulted in CRPS. $4.4 million—the victim was involved in a car accident which resulted in the development of CRPS. As you can see, the values associated with the cases above significantly vary. Because of that, claimants should never assume the potential value of their claims. Rather, claimants should discuss their claims with our experienced lawyers to review Complex Regional Pain Syndrome settlements and to learn more about the potential value of their claims. Discussing the claim with an attorney will also clarify information about the compensation available for CRPS claims. As you can see, there are multiple categories of compensation available for recovery. Regardless of the specific details of your claim, you could receive some of the types of compensation listed above. When you allow a lawyer for CRPS cases at Kenmore Law Group to handle our claim, you could trust that our lawyers will always do everything within their reach to help you receive the highest amount of compensation available for your claim. Regardless of whether our lawyers have to aggressively negotiate to reach a reasonable settlement or take your claim to trial to reach a verdict, you could be certain that our lawyers will always do everything within the law to ensure that you are compensated. If you would like to learn more about the type and amount of compensation that you could recover for your CRPS claim, you must contact the attorneys at Kenmore Law Group at your earliest convenience. How Can I Sue for CRPS (Complex Regional Pain Syndrome)? Seek medical attention. For CRPS claims, medical attention is absolutely necessary. After your accident, you might have already been treated for some of your injuries. However, your chronic pain needs additional attention. You must request to be seen by a doctor to evaluate your chronic pain. You might have to get multiple opinions before you are diagnosed with CRPS. Seek legal assistance. After receiving a diagnosis, you should seek legal assistance. You must contact an attorney with a history of successfully handling CRPS claims. You should schedule to meet with your attorney as soon as possible. Collect evidence. Your attorney will need to know everything about the accident that caused your injuries and, eventually, your CRPS chronic pain. Therefore, you will have to collect all the records of your accident (such as police reports, insurance letters, HR reports, etc.). It is essential that your attorney has all of this information to begin your claim. Your attorney will then guide you throughout the rest of the legal process for suing for CRPS. Your lawyer will investigate your claim, help you identify the liable party, establish negligence, and make a demand for settlement, for example. To learn more about the process of suing for CRPS, do not hesitate to contact our law firm and request to speak with our lawyers. I got CRPS (Complex Regional Pain Syndrome). Can I sue for my injuries? Yes, if you have CRPS, you can sue for your injuries. You can receive a significant amount of compensation because CRPS is a painful and well-understood condition that juries can identify with. To learn more about your right to sue and recover compensation for the harm that you are experiencing after developing CRPS, you must seek legal assistance as soon as possible. If you are in need of legal assistance, you could trust the lawyers at Kenmore Law Group to handle your claim and help you recover the compensation that you deserve. Do not hesitate to contact the best lawyers in Los Angeles who can handle CRPS injury cases today. Our law firm is dedicated to keeping our legal services accessible to all; therefore, we offer free legal services to help you during the process of filing your chronic pain lawsuit. Some of our free legal services include free consultations and free second opinions. During our free consultations, our Complex Regional Pain Syndrome lawsuit attorneys in Los Angeles will be available to answer all your questions and address all your concerns regarding your CRPS and the possibility of filing a claim after you were the victim of a personal injury accident, a workplace accident, or medical malpractice, for example. Our lawyers will be available to provide you with all the information that you need to file your claim and recover the compensation that you deserve. During our free second opinions, our lawyers will also be available to answer all your questions and address all your concerns regarding the claim that you have already started at another law firm. The incompetence of your current lawyer at another firm could have negatively affected your claim and its potential outcome; therefore, our CRPS attorneys will evaluate your claim and ensure that you have the correct information to redirect your claim towards a successful outcome. Whether you are interested in beginning or continuing your CRPS claim, you could trust the lawyers at Kenmore Law Group. Our attorneys will do everything within their reach to ensure that your claim reaches a successful outcome. 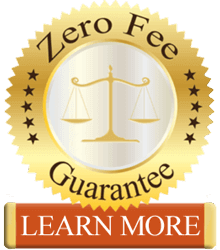 Our free legal services are available as part of our Zero-Fee guarantee. Our Zero-Fee guarantee allows you and all other victims suffering from CRPS to contact our law firm to benefit from our legal assistance without ever having to worry about paying any upfront legal fees. Our law firm is also strictly based on contingency; therefore, our clients will never be required to pay any upfront legal fees until after lawyers win their claims and reach a successful outcome. If you do not win your CRPS lawsuit, you will not be required to pay us anything. If you are ready to file a lawsuit because of CRPS, do not hesitate to contact our law firm as soon as possible.